Major compounds present in oil are methylpropyl, dipropyl disulfide and dipropyl trisulphide etc. In ancient times, raw onion was used to cure cold and infections. In addition to this, its medicinal values were also seen in blood cleansing and in making bones strong. Produced in Egypt, USA, South America, Mexico and France, today, this oil is widely used in food industry. The oil has golden brown color with an unpleasant smell. It is also a great source of vitamin A, B and C, protein, selenium, potassium, saccharose peptides, fructosans and flavonoids. Antiseptic, antirheumatic, digestive, anticancer, antioxidant, antimicrobial, anthelmintic, antinfectious, antispasmodic, bactericidal, fungicidal, expectorant, carminative and depurative. 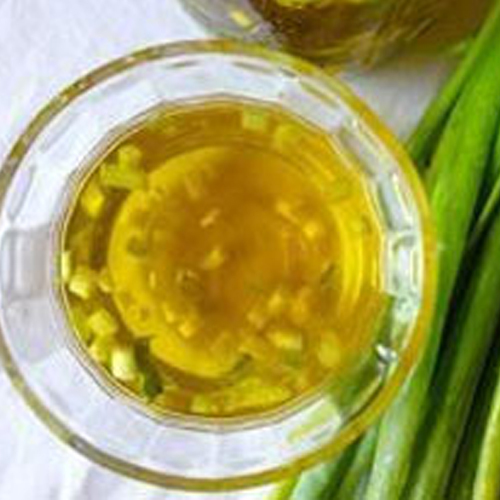 A rich source of vitamin A, B and C, the oil has wide application in food industry and pharmaceutical industry. The oil contains the essence of diuretic that further leads to detoxification of the body. This makes your body stronger and reduces the possibility of getting effected by disease like boils, acne, rheumatism and arthritis. A person should never use this oil unless he feels fully qualified to handle the results. The use must be avoided in pregnancy and with infants and children. We have reputed shipping partners Fedex, DHL, TNT, UPS and EMS for delivering the oil.